The Avalon is a lightweight plastic barrier made from a high density polythylene mould making it hard wearing and durable. 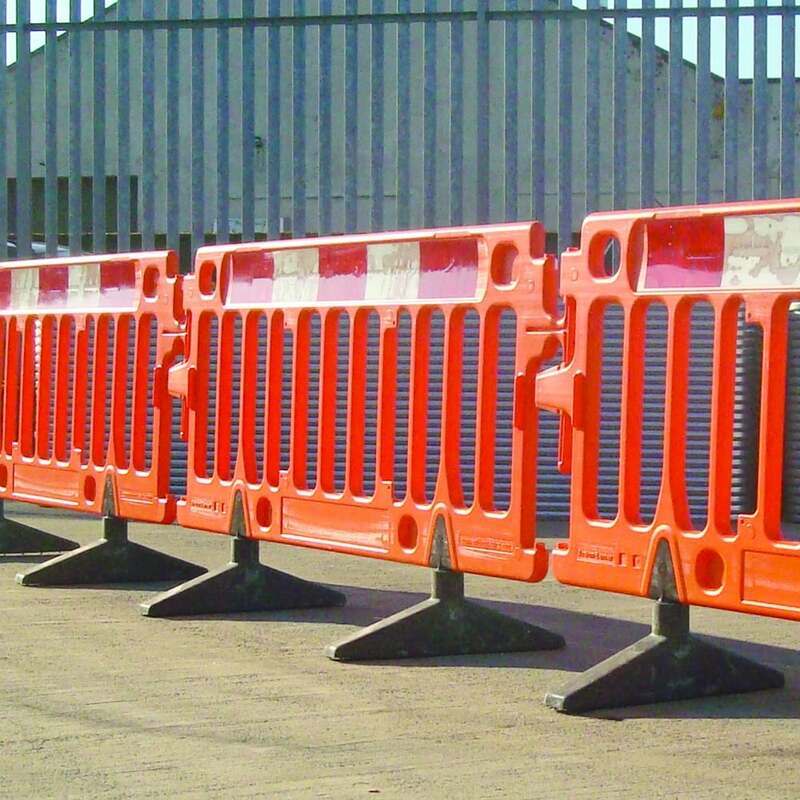 The barrier is supplied in hi-vis orange as standard, but can also be supplied in your own corporate colours. The system benefits from a locked or unlocked mode configuration which prevents unauthorised dismantling. Heras Avalon is stackable therefore making it easy to store and transport. 1200mm (H) x 2000mm (W). High visibility orange as standard. Clear path high visibility footing available.